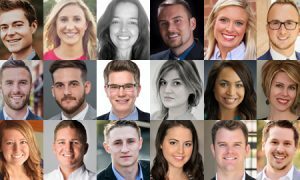 Congratulations to the 2018 Coldwell Banker® 30 Under 30! These brokers, managers and agents, who are under 30 embody the values of Coldwell Banker Real Estate. 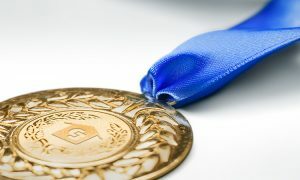 The Coldwell Banker 30 Under 30 pays tribute to the brand’s founders – Colbert Coldwell and Arthur Banker who were 24 and 28 years old when they started their company in 1906. This 26-year-old started her career in marketing before realizing that she always dreamt of working for herself. After studying for her license, she knew real estate was her passion and she was a natural fit. Haley is very interested in real estate technology and how that technology can advance her business. She is constantly implementing new technologies to differentiate herself in the competitive market. 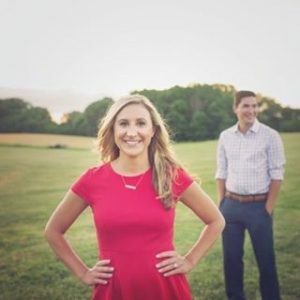 She also is very involved in her local community, participating in real estate committees, such as YPN and RPAC, church committees and a breast cancer charity race committee, among others. Follow on: Facebook, LinkedIn. 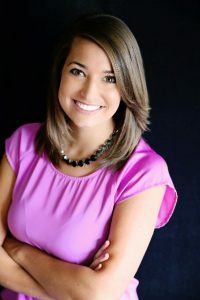 This 28-year old, a self-proclaimed “one-man-band,” began her career with Coldwell Banker Bradley to work in an industry that was dynamic and people-oriented. Since then, she has been awarded the NRT Rookie of the Year, President’s Club and President’s Premiere in both 2016 and 2017. 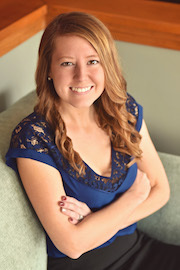 Allison attributes her success to technology – using InTouch Pro to stay connected with her sphere, targeted Facebook ads and Facebook Live to stream her Sunday open houses. 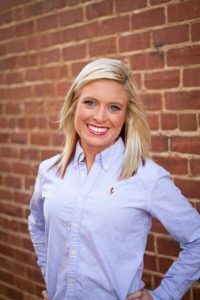 In her free time, Allison is a middle and high school cheerleading coach. She is constantly empowering her teams to be hard working and tenacious, by setting that example herself. Follow on: Facebook, LinkedIn. This 28-year-old sets himself apart with his deep knowledge of building dynamics and investment strategies for his clients. Mike started out in construction, but realized that he needed more of a challenge. That’s when he started working in real estate, and he’s never looked back! Mike has combined his knowledge of construction and his desire to work directly with people to excel in real estate. He specializes in smart home technology and recognizes each home’s unique characteristics. Mike’s dream is to build a public gym to improve his community – complete with tennis courts, a pool and beach volleyball courts. Talk about getting his community in tip-top shape! Follow on: Facebook, LinkedIn, Twitter, Instagram. This 29-year-old-old became a licensed real estate during his junior year of college, soon finding success in his home state of Iowa. However, Brett had always dreamed of heading West, and left for California to break into the Silicon Valley property market. Brett’s gamble paid off, and he’s grown into one of the top producing brokers in Silicon Valley. 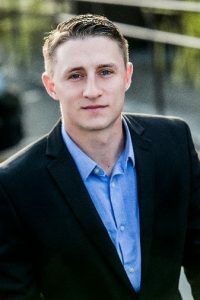 Brett has taken an active role in the real estate community, serving on the Silicon Valley Association of Realtors Board of Directors. Sharing his good fortune with the larger community is one of Brett’s priorities. He has taken active roles in service-based organizations, such as the Rotary Club of Menlo Park and the Boys and Girls Clubs of the Peninsula. Follow on: Facebook, LinkedIn, Instagram. This 25-year-old knew she wanted to work in real estate since she was a child. She was fascinated by the old, original homes that surrounded her in France. Now, at 25, Melanie accomplished her dream of owning her own real estate business. Melanie attributes her success to her strong values – integrity, loyalty, honesty and authenticity. Melanie works hard every day to provide a tailored-service that goes above and beyond her clients’ expectations. She not only finds the perfect homes for clients, but she also researches the areas where they live to provide recommendations on other services as well – similar to a hotel concierge. Melanie is looking forward to expanding her specialty in high-end luxury listings. Follow on: LinkedIn. This 29-year-old gained his first exposure to the real estate industry from his father, who is also an agent. Unable to find another field that could compete with the excitement of real estate, Josh went into the business himself. 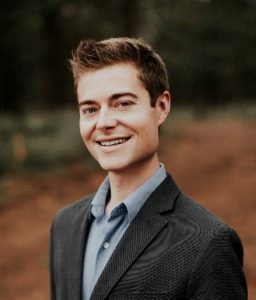 To stand out in the crowded Napa market, Josh utilizes social media to its full potential, crafting a unique story around each property. He believes that consistent and thoughtful communication with clients has also been a major contributor to his success. Josh volunteers with Adopt a Block, a program that packages, loads and delivers food to people in low-income areas of Napa Valley. In the future, Josh would like to develop a coherent plan for low-income housing in Napa, developing affordable single-family residences. Follow on: Facebook, LinkedIn, Instagram. This 27-year-old has applied his experience working in the custom manufacturing and design industry to real estate, using his expertise to reveal a home’s full potential. 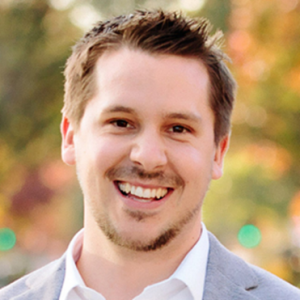 David believes that his passion for visual marketing has been a key component of his success. David volunteers with the Miracles for Kids Organization, and his team has hosted events at listings to raise money for families in need. Follow on: Facebook, LinkedIn. This 26-year-old started working at a marketing firm after graduating college, but longed for a career where every day would bring different challenges and excitement. Cyrus took the plunge with real estate, and has been enjoying his dream occupation ever since. Cyrus puts an emphasis on communication, making himself available to clients at all hours of the day. Cyrus comes from a unique educational background, having obtained degrees in piano performance and business, in college. These days he continues this musical passion by serving as the interim president of the Russian Chamber Music Foundation of Seattle. He is additionally committed to supporting cancer research, and has helped to raise more than $12,000 through events such as the Fred Hutchinson Cancer Research Fundraiser. Follow on: Facebook, LinkedIn, Instagram. This 27-year-old started in the real estate business at age six, serving as an “assistant buyer’s agent,” to his mother, Illona Gerlock. His mother has been a mentor and role model as Dan has forged his own career in the business, closing over 40 sales at more than $13.5 million in production over the last year alone. Dan is a proud member of the real estate community and has taken leadership roles by teaching real estate classes and serving on the advisory board for Coldwell Banker Denver Central. Dan has shown unrivaled dedication to his clients. In 2017, he helped plan his office’s annual Coldwell Banker Night at the Rockies game that raised more than $10,000 for a client in need, showing a commitment that continues long after a sale’s close. Follow on: Facebook, LinkedIn, Twitter. This 29-year-old has worked as an architect, a construction manager and an interior designer, but she always yearned to work in an area of the industry that would allow for more face-to-face interactions with clients. Irina’s unique career path has been an immense asset as an agent, allowing her to share perspective from each of her areas of expertise. 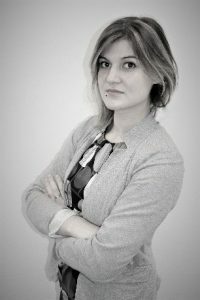 Being born and raised in Belarus, Irina’s proficiency in Russian coupled with her European heritage has enabled her to establish a bond with foreign clients. 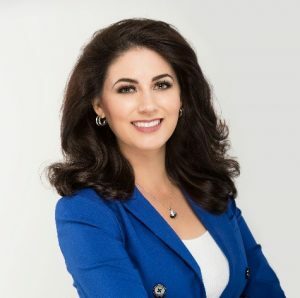 As a mother working in the real estate industry, Irina strives to educate her two children on the leadership and work ethic that she practices in her professional life. Irina is passionate about ending human trafficking and has worked alongside local organizations such as Courage Worldwide to further this goal. In the future she hopes to use her real estate involvement to build safe houses, aiding in victims’ recovery. Follow on: Facebook, LinkedIn. This 28-year-old was inspired to become an agent by his grandfather, who taught him many invaluable lessons about the real estate business. Michael puts an emphasis on serving the individualized needs of his clients. He’s worked with a contractor to produce homes that are tailored to the needs of consumers living in Southwest Louisiana—focusing on features that many larger contractors ignore. Michael considers it his duty to use his clients’ assets to their utmost advantage, and he has built a strong network of contractors, vendors and lenders in order to achieve this goal. Michael additionally takes pride in giving back to his community. He has sponsored a local high school’s baseball team and hopes to sponsor various scholarships and academic clubs in the future. Follow on: Facebook, LinkedIn. This 28-year-old was drawn to the real estate business out of a desire to help others find joy and happiness in the homes of their dreams. In 2015, Avery took the plunge and left his sales job, enrolling in a real estate course and pursuing a career at Coldwell Banker. 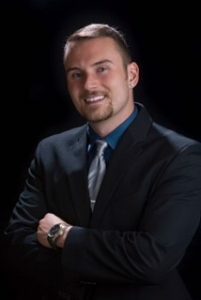 Avery has achieved success by harnessing the power of the internet, utilizing his website and social media channels to put his positive personality on display for potential clients. Avery strives to serve as an example in his community, demonstrating the success that comes from perseverance and having a genuine passion for one’s work. Follow on: Facebook, LinkedIn, Instagram. This 27-year-old first started working with his family in the home renovation market, where they would completely remodel an older house in order to make it more desirable. 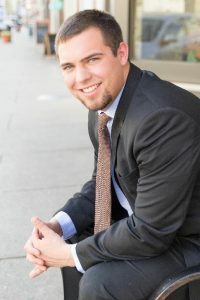 Andrew soon sought to experience other sides of the industry and began his career in real estate. He loves the constant interactions that come with his profession and has found success in always being available to answer a client’s concern, or simply have a casual conversation. As a cancer survivor, Andrew has not only personally fought this disease, but has also dedicated his time to this cause. He is an active member of the Cincinnati American Cancer Society Pride Organization and is in the process of joining this organization’s board. Follow on: Facebook, LinkedIn. 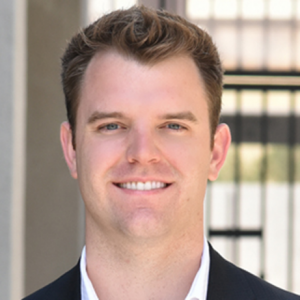 This 28-year-old first experienced the industry through his father—a real estate attorney. 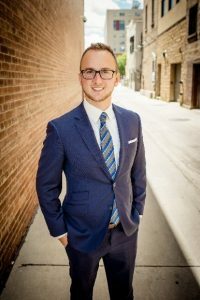 Throughout high school, Michael worked alongside his father as a paralegal, quickly becoming drawn to the real estate profession involves because of the creative marketing, contract writing and ability to touch others’ lives. As a fourth generation Central Oregonian, Michael has a deep passion for his community, and has worked to brand himself as the “Bend Ambassador.” Michael’s devotion to Bend goes beyond his real estate involvement. He is a committee member of the Rocky Mountain Elk Foundation, which raises money for habitat conservation and works to keep local forests and wildlife healthy. Follow on: Facebook, LinkedIn, Instagram. This 28-year-old was born in Northern Ireland, but quickly became a top producing agent in the Atlanta real estate market. Jessica was the number one agent in her office in 2016 and 2017, and was also ranked among the top 5% of all Atlanta realtors in 2017. 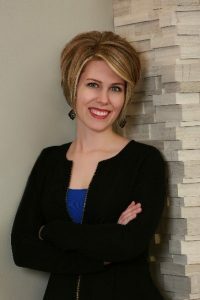 Jessica is committed to staying knowledgeable on the latest technology trends and devices, and recently completed her Smart Home Technology certification in order to best serve her clients’ technological needs. 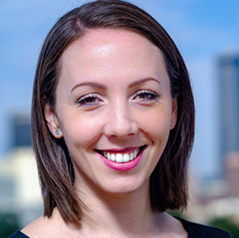 Jessica remains in touch with her Irish roots, serving as vice president of the Irish Network USA’s Atlanta chapter. Follow on: Facebook, LinkedIn, Instagram. This 22-year-old first gained exposure to real estate through his father, a general contractor, who would flip houses as a side job through the years. Gavin was immediately drawn to the profession and studied real estate at Baylor University. He’s passionate about all sides of the industry, from new construction, to interior design, to landscaping. Gavin actively gives back to both the real estate industry and his larger community. 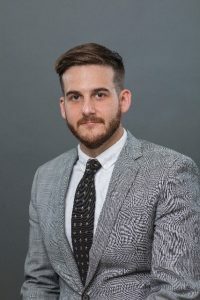 He currently serves as the secretary treasurer of the Johnson Country Association of Realtors, and additionally participates in Leadership Cleburne and Young Professionals of Cleburne events. Follow on: Facebook, LinkedIn. This 25-year-old is a third-generation agent, and is proud to uphold his family’s legacy within the industry. 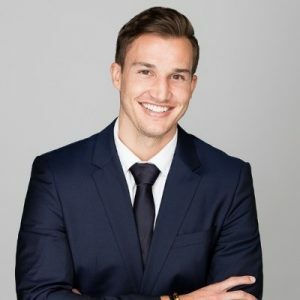 Josh worked in retail sales from the age of 16 through his time in college, giving him interpersonal skills that he believes have aided his success within the real estate industry. 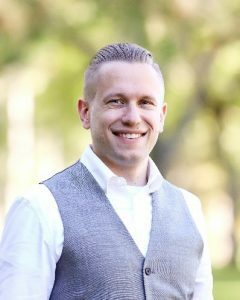 Josh is committed to providing his clients with professionality in all aspects, working with photographers, videographer, contractors, staging professionals and inspectors to ensure that his buyers and sellers are getting the highest level of service possible. Josh is committed to guiding first time homeowners, allowing these individuals to make an informed decision when it comes to this momentous occasion. Follow on: Facebook, LinkedIn, Instagram. This 27-year-old gained her first exposure to the real estate industry flipping houses after graduating from college. Soon she was receiving requests from friends and family for real estate help, she found sharing her knowledge with others was rewarding. Alissa has been able to stand out from her peers by using Coldwell Banker’s technology suite, taking insights from products such as the CBx Technology Suite to identify the ideal target buyer for her listings. Social media has also helped Alissa to shorten the time that her listings are on the market and build a brand for her business. The Valparaiso community has played a prominent role in Alissa’s life, and she gives back by supporting local food and toy drives and sponsoring a high school sports team. Follow on: Facebook, Instagram. 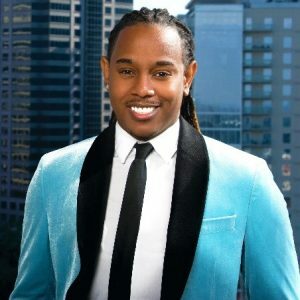 This 28-year-old has been passionate about real estate from a young age, obtaining his license while still in college. As Zev began to work in the industry, he observed the stress that moving puts on clients, and made it his mission to make the transition as seamless and comfortable as possible. Zev has demonstrated that success comes from investing the extra effort to establish a bond with clients—he’s built lasting relationships by focusing on personal interactions, frequently giving clients friendly calls on their birthday, or simply to see how they’re doing. Technology has also been a key contributor to Zev’s success. 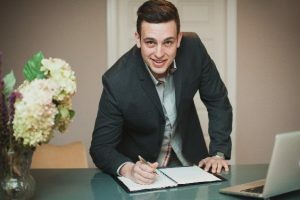 He’s built more than 30 websites for individual condo buildings in Ottawa that provide clients and consumers with pertinent research and education, and help him with lead generation. 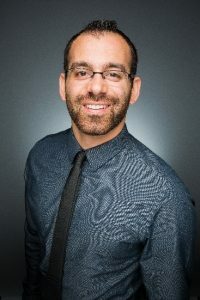 Zev is the co-chair of the Emerging Generations of the Jewish Federation of Ottawa, where he focuses on building engagement with individuals under 40 in his community and mentoring other young professionals as they seek to start their careers. Follow on: Facebook, LinkedIn, Instagram. This 25-year-old has had a variety of entrepreneurial endeavors, from selling solar panels door-to-door, to a lawn painting business for homeowners in the midst of the California drought. With a passion for being a problem-solver, real estate came naturally to Chris, and he gains fulfillment by guiding homeowners through the biggest purchase of their lives. Chris believes that honesty and working as a trusted advisor for his clients instead of as a salesman, is of paramount importance for building trust within the industry. Chris is a proud member of the Sacramento community, and he gives back by organizing and executing events through Active 20-30 Club, a community service organization serving Sacramento’s disenfranchised youth. Follow on: Facebook, LinkedIn. This 28-year-old began her career in real estate as an administrator, looking for a little more than a nine to five job. 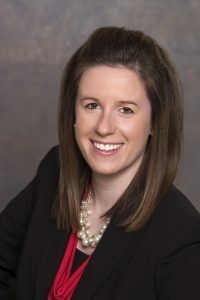 However, she quickly was drawn to the energetic and engaging aspect of the real estate profession and involved herself in every aspect of the office within her first year. Robin then sought more of an impact throughout the entire organization, moving to the corporate side of the industry, where she trains agents on the systems that are integral to their jobs. She loves building a positive office culture, using games, video series and promotions to generate excitement among her colleagues. Follow on: LinkedIn. This 26-year-old aspired to become a real estate agent from a young age and would often spend her Sundays convincing her parents to take her to nearby open houses. She first started working in the industry at age 19 and has worked to build trust and friendships with her clients that last long after the sale has closed. Emily additionally serves on her local Community Service Committee and is dedicated to helping children and family charities around the Northwest Georgia area. Follow on: Facebook, LinkedIn, Twitter. This 27-year-old’s real estate career has taken her from Costa Rica to Colombia to Spain, and along the way she has blazed an impressive professional path, progressing from a part-time assistant to managing a whole operation. She approaches each opportunity with passion and drive, always excited for the possibilities that a new business venture presents. Honesty has been Andrea’s top priority, and she’s built lasting relationships with clients through her caring and truthful interactions. 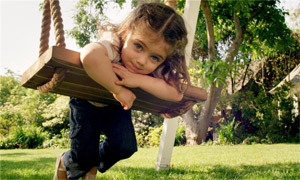 She gains immense satisfaction from helping clients to find their dream homes. Follow on: LinkedIn. This 29-year-old first started in the real estate business at age 16, working as an assistant for the only real estate company in her small hometown. After college, Chelsea worked at a graphic design company, but when that business closed, she decided to take the plunge and follow her passion into real estate. Chelsea has found success by always being willing to take on a new challenge. In her four years in the industry, she has closed land deals, short sales, foreclosures, new construction, resales, estate sales and anything else that has come her way. Coming from a military family, Chelsea is committed to helping veterans and their families, and became a USAA/Navy Federal certified agent. She has helped dozens of military families buy and sell homes, and she is driven to aid those that have sacrificed for our country. Follow on: Facebook, LinkedIn, Instagram. This 23-year-old comes from a real estate family. He stands out by bringing energy and passion to the transaction. He additionally has found success by utilizing Colwell Banker’s technology offerings, such as the CBx Technology Suite, which have allowed him to harness data insights to accurately price and market listings. He is a member of his local Realtor® Political Action Committee. Additionally, he volunteers as a coach for a youth softball team. Follow on: Facebook. This 21-year-old has been an entrepreneur since his sophomore year of high school, when he started a lawn care business that soon grew to serve 25 clients on a weekly basis. Austin has continued to find success in the real estate industry, racking up an impressive array of accolades. 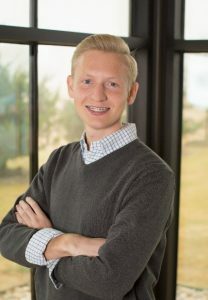 In his first year in the business at 18 years old, Austin was named Rookie of the Year by Coldwell Banker Action. 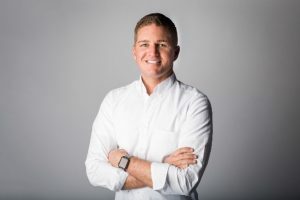 Following that in his second year, Austin was named Salesperson of the Year by Coldwell Banker Action, having completed $16.6 million in volume. 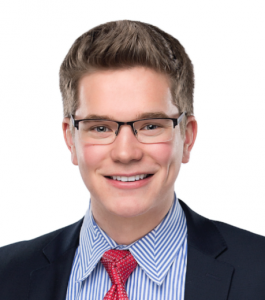 This is Austin’s second consecutive year on the Coldwell Banker 30 Under 30 list. Austin leverages the benefits of his youth, using his knowledge of technology to streamline the buying process for his clients. Austin is committed to helping new agents overcome the challenges they face when entering the industry. He additionally enjoys mentoring high school students, with whom he shares his marketing and business insights. Follow on: Facebook, LinkedIn, Twitter. 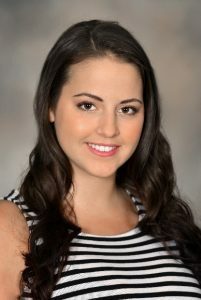 This 27-year-old found her passion for real estate during her junior year of college, where a real estate course became her favorite class during her entire college career. Following that experience, Elena worked as an assistant for a top producer in Colorado, and then set out to start her own business. Elena sees her role not as selling houses but as selling an experience, and she focuses on building a strong customer relationship. 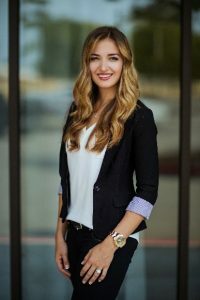 Elena gains satisfaction from sharing her real estate knowledge with new agents and seasoned ones alike, mentoring the younger ones on the process of starting their business, and assisting older agents with mastering the latest technology. Follow on: Facebook, LinkedIn, Instagram. This 29-year-old was drawn to the industry after discovering her passion when purchasing her first home. She then became involved in flipping houses, and soon transformed this side endeavor into her career. She has grown a strong referral business, with clients drawn to her genuine concern for their welfare. In an age where technology is omnipresent, Brittany has found success in conducting the majority of her business face to face. Brittany is a former Miss Rodeo California, and she enjoys mentoring young women for rodeo queen pageants. Follow on: Facebook, LinkedIn. 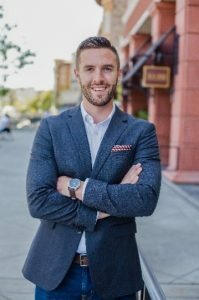 This 29-year-old is a fourth generation Las Vegas native, who has deep knowledge of the city’s past, as well as a vest network of connections that make him knowledgeable about market trends. Zachary is consistently ranked within the top 1% of Realtors®. His 60 sales closed over the past year is more than ten times higher than the national average. Zachary was able to build a relationship with Las Vegas’ first major professional sports franchise, the Golden Knights hockey team, leading him to become the premier agent for players and coaches. Zachary’s passion for sports impact all aspects of his life; he gains satisfaction from coaching basketball for disadvantaged youths. Follow on: Facebook, LinkedIn, Twitter. 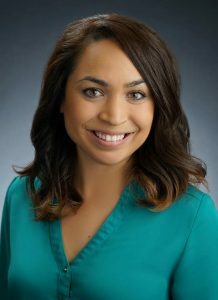 This 29-year-old started working as an office manager for a commercial real estate firm, later returning to night school to obtain her license. Part of what drew Nicole to the industry was the ability to manage the responsibilities of parenthood with a career, and she was drawn to Coldwell Banker for this reason. Nicole puts her dedication to clients above all else, even sacrificing some of her commission to help with a home warranty or closing cost. 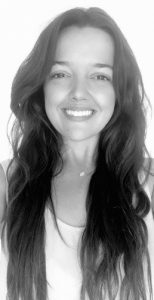 As the daughter of an elementary school teacher, Nicole is especially committed to helping teachers with real estate transactions and has been designated the “staff realtor” for Silver Creek Elementary School. She additionally sponsors local school events and shares her real estate knowledge with students during high school career days. Follow on: Facebook, LinkedIn, Instagram. Coldwell Banker Agents & Teams Named to REAL Trends "The Thousand"